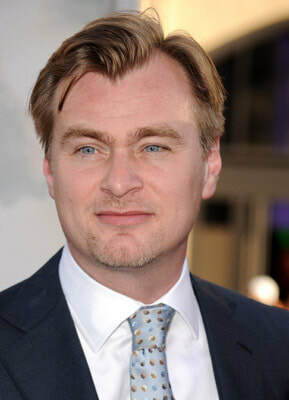 Best known for his cerebral, often nonlinear storytelling, acclaimed writer-directorChristopher Nolan was born on July 30, 1970 in London, England. Over the course of 15 years of filmmaking, Nolan has gone from low-budget independent films to working on some of the biggest blockbusters ever made. Nolan's second film was Memento (2000), which he directed from his own screenplay based on a short story by his brother Jonathan. Starring Guy Pearce, the film brought Nolan numerous honors, including Academy Award and Golden Globe Award nominations for Best Original Screenplay. Nolan went on to direct the critically acclaimed psychological thriller, Insomnia (2002), starring Al Pacino, Robin Williamsand Hilary Swank. The turning point in Nolan's career occurred when he was awarded the chance to revive the Batman franchise in 2005. In Batman Begins (2005), Nolan brought a level of gravitas back to the iconic hero, and his gritty, modern interpretation was greeted with praise from fans and critics alike. Before moving on to a Batman sequel, Nolan directed, cowrote and produced the mystery thriller The Prestige (2006), starringChristian Bale and Hugh Jackman as magicians whose obsessive rivalry leads to tragedy and murder. In 2008, Nolan directed, cowrote and produced The Dark Knight (2008) which went on to gross more than a billion dollars at the worldwide box office. Nolan was nominated for a Directors Guild of America (D.G.A.) Award, Writers Guild of America (W.G.A.) Award and Producers Guild of America (P.G.A.) Award, and the film also received eight Academy Award nominations. One of the best-reviewed and highest-grossing movies of 2012, The Dark Knight Rises(2012) concluded Nolan's Batman trilogy. Due to his success rebooting the Batman character, Warner Bros. enlisted Nolan to produce their revamped Superman movieMan of Steel (2013), which opened in the summer of 2013. In 2014, Nolan directed, wrote and produced the science fiction epic Interstellar (2014), starring Matthew McConaughey, Anne Hathaway and Jessica Chastain. Paramount Pictures and Warner Bros. released the film on November 5, 2014 to positive reviews and strong box-office results, grossing over $670 million dollars worldwide. Nolan currently resides in Los Angeles, California with his wife, producer Emma Thomas, and their children. Nolan and Thomas also have their own production company, Syncopy.